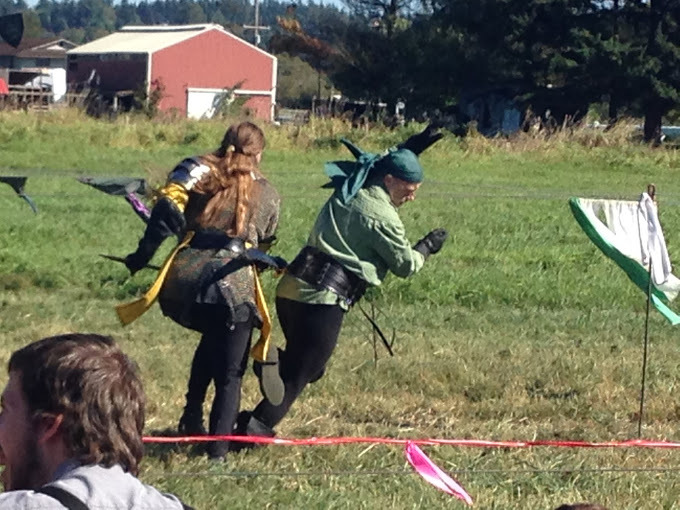 An interesting pairing, hurling pumpkins and Medieval jousting, was presented last weekend at the Snohomish Pumpkin Festival. Pumpkins were hurled by trebuchets and shot from pumpkin cannons. 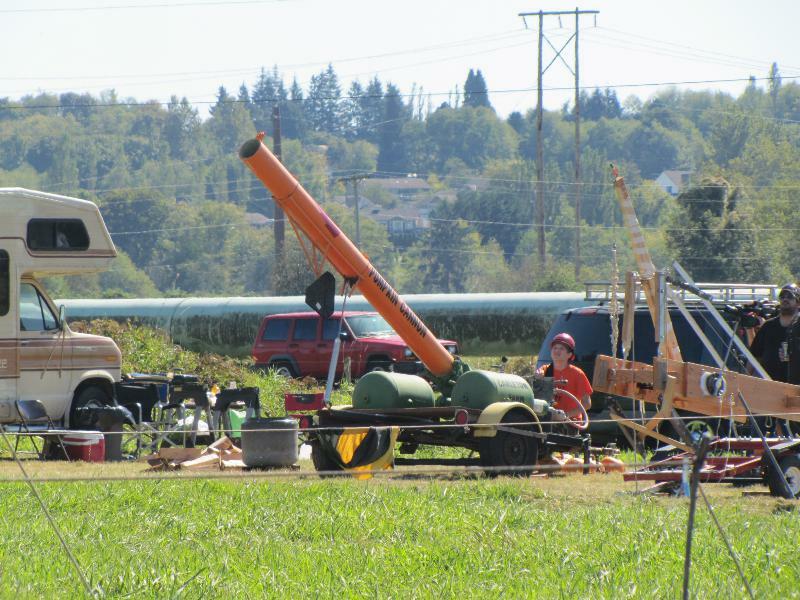 The pumpkins soared through the air for over 420 yards out of the cannon. A group called the Seattle Knights also performed. This group of twenty or so men and women in the costumes and armor of the year 1200 put on mock battles. 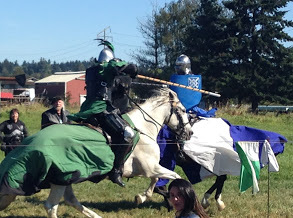 In addition, they had their horses and demonstrated the fine art of jousting.